Welsh artist Jessica Lloyd-Jones has created the most spectacular series of blown glass-and-neon sculptures called Anatomical Neon, which is "inspired by biological electricity, the presence of natural electrical activity in the human body." Which is kind of cool. And the sculptures are just breathtaking. 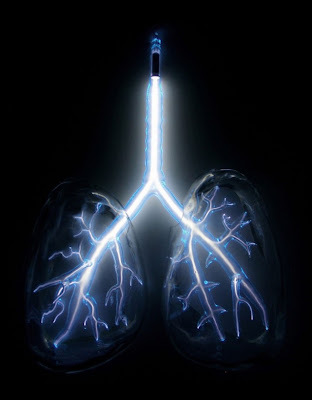 Despite the inherent creepiness of having, say, a pair of neon lungs on your wall...well, I'd totally put a pair of neon lungs on my wall if they were this gorgeous.